Twenty five years after joining Mary Kay, I chose to retire. And what did I get from the company? What did I get from my upline? Absolutely nothing. My unit was in good standing but I had long ago burned completely out. I could not bear to make one more phone call—read one more crazy rant from my national, or tolerate the blind idolization Mary Kay people showed when they fawned all over their National Directors. And so I finally decided to retire. 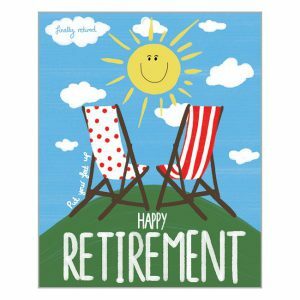 Throughout my career, I had been led to believe that when retirement came, I would have a responsibility to recommend disposition of my unit members. I wrote a letter to everyone in my “area” plus corporate and respectfully asked that my unit be placed with my offspring. We’ve been told that we ARE in business for ourselves—right??? Wrong! That may be true in some areas but I for one, had very little input as to where my consultants would be placed. No matter how insincere, to this day, my national has not had the common decency to send me a letter—including my senior national. These two NSD’s had confided in me many times over the years on how to conduct Mary Kay business—good, bad, or indifferent—whatever it took. Now that I was leaving, they didn’t have the time of day for me. So much for caring about people. My national director, at many guest events would criticize companies who gave their 25 year employees a watch. I didn’t even come close to getting a watch! Unbeknownst to me, the national director sent letters to my unit members giving them 3 choices. They would either be placed in the National Sales Director’s unit; the National’s DAUGHTERS unit; or my offspring’s unit. The letters instructed the consultants that if they didn’t mail the card back, they would be placed, by default, into the daughter’s unit! Many of them called me asking what to do. I suggested they send the card back and specify their choice of units. I never even got a COPY of the letter she sent out—well except for the one my unit member forwarded to me. When I was in the clique, I soon learned that the measure of love toward me was based on ever tightening concentric circles—directly related to the amount of money that was spent on orders. My sister directors loved to hear me teach—they admired the many trinkets I had been awarded. They wanted to know my “secret”. My work put money in many pockets. And after honorably retiring, these people didn’t even bother to send even the smallest note of recognition and appreciation. If course … that’s how the mommy-daughter business works. She makes her daughter the “youngest”, “fastest” or whateverest to get to “some rank” because she’s stuffing the remnants of failed units into her daughter’s unit and down line to make it happen. Like those video games where you pillage the corpse, except instead of a +3 Potion of Wealth and a pile of cheap armor she gets a couple of possible DIQs and a bunch of PUCs to make the nulbers look better. And look how few of our “sister” Directors are still in touch with us after leaving. Nothing like living out a the Golden Rule, right? And after those 25 years, you’ve not added 1 cent to your Social Security. Nothing to show for those decades. So sad! Are you complaining about your “career” as a pyramid schemer? Is it fair to call that a career in the context we all tend to think of it? I suppose there are “career” con men. And with that in mind, do career con men expect there to be honor among thieves? Receive letters from new con men taking over their territories? Old ones thanking them for their service? You retired from being a pyramid schemer because you did MLMing for the Mary Kay pyramid scheme. What did you expect? I’m sorry as I know this sounds harsh. But until we get to a place where people recognize what they are actually doing, we make no progress. Sugar coating involvement in a pyramid scheme MLM company, like Mary Kay, as a “career” and “retiring” is not an accurate representation. No doubt you don’t want to invalidate 25 years of your life, but it is what it is. Maybe you can stop someone else, a young person, from devoting their years to a pyramid scheme, hence some of this article. So for that, we thank you. Yet she says that she did build a retirement fund in her 25 years as a director.That means she made a consistent profit, on which she should have paid self-employment tax (both halves of social security). So she should have that. It also means someone else was paying her living expenses, but she doesn’t mention that. Lies of omission are so convenient. Pretty much the only retirement plan available to her was an IRA, with a contribution limit of 5,000 per year. So she set aside about $125,000 plus investment earnings. That won’t last long. I wonder if she’ll think about that mountain of debt as she spends her $125,000. Thank you for being more blunt than I was. I was trying not to alienate her, and others, their willingness to write in, but I completely agree with you! As is often pointed out here, MLMing is a two-pronged scam. You either don’t make any money, or you do – off the backs of those you involve in the scam. It’s a disgusting situation. Remember, most of us did not realize we were “scamming” anyone, because the over arching indoctrination was that even if YOU aren’t making an “executive level income” you know those above you are so just keep working! Borrow their success until it is yours! And because we trusted and we BEE-lieved, we carried on. Nobody really knew that the MK Game was largely fraud until PinkTruth. We read our own stories on the lips of hundreds of consultants and Directors and the veil fell from our eyes. And the “con” part is that sometimes it DOES work, and you do have a huge class or a dynamite star consultant, so you are roped into thinking it’s really all there…just keep swimming! Lazy Gardens said it best…it is intermittent rewards, and it is blinding and seductive and addictive. Coming here and reading opens your eyes. There was one consultant I remember reading about, years ago, who DID make a very nice profit just selling products. She was always up front as #1 in sales, a shining example of how YOU TOO could be a Mary Kay success. But her Director was itching because she couldn’t reach out to those customers to turn them into consultants. Then the Director found out who the customers were: people who needed lots of makeup but (in those days) would never buy it openly. They were transvestites the consultant met in gay bars. The consultant was quickly snubbed: “We don’t associate with **those** people.” It seems the only proper customers were those who could be recruited. Everyone else was a waste of time. The consultant’s MK career ended shortly afterwards. Mary Kay Corporate, and the upline consultants in the know, really only want “customers” who are recruitable, AND they discriminate against other humans. Nice. They only really want customers who are potential recruits because what good is it to have low-level consultants “re-selling” products that have already been sold to them? No only that, what good is it if the low-level consultant pockets any upcharge? Do people realize that only benefits the person selling AND NOT THE UPLINE or Corporate? One might argue that if a low-level consultant re-sells more, she will order more. On its face that makes sense EXCEPT that you are not allowed a retail store, and you are not allowed to traditionally advertise. You are limited! There aren’t territories so you get saturation, and how many people do you directly know willing to buy your crap? You are not even supposed to sell on eBay. With all these limitions, you can see the inherent flaw in MLMing. Ultimately, MLMing isn’t selling product due to the above obstacles – which are necessary for MLM to exist. Otherwise, it would be a regular sales company. MLMing a catch 22 and can’t work legitimately. The only thing that works is recruiting others for the opportunity- a pyramid scheme. “The consultant was quickly snubbed: “We don’t associate with **those** people.” It seems the only proper customers were those who could be recruited. Everyone else was a waste of time. All this makes sense when you peel away the double talk by recruiters and get to the truth on how MLMing really works. Ladies, please be smarter than MLMers and don’t give Corporate the opportunity to scam and make a fool of you. Exactly. That is why it is so important to call out what MK is – a pyramid scheme. So there is no confusion. Participating in MK makes anyone by default a pyramid schemer – knowingly or not. It is my hope that eventually this will be THE deterrent, and not “I didn’t make any money”, or “the products are crap” although that’s part and parcel with pyramid schemes. I’m going to respectfully disagree with that particular language as that could give people hope and add to the aforementioned confusion. What seemingly works “temporarily” for the mark is selling pyramid scheme products at double retail, or being able to recruit a big spending buyer into the pyramid scheme. It just “seems” to work which is part of the con. Perpetrating a scam to make money is not legitimate. I just have to say, I don’t understand why someone claiming to be a “Christian” is somehow conferring some special status of having integrity or being honest. Christians can be assholes too.